This checklist that I have created helps my students and will help you with thorough proofreading of your essays to give yourself the best chances of success. 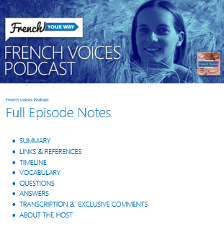 Recommended for VCE French, DELF or any written exam preparation or French assignment! 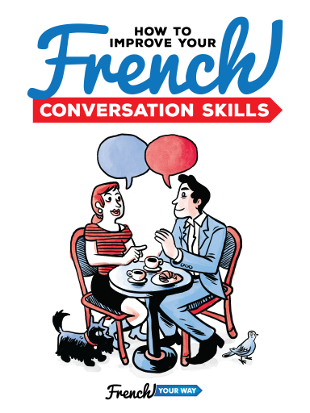 Note: this checklist is part of the resources I’ve included in my French VCE exam revision guide, “How to Prepare for the French VCE & Reach your Maximum Score”. Practice well before an exam so that you know what you should pay particular attention to on for the big day. 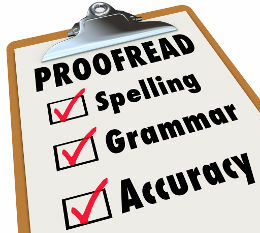 Download the free PDF version of my Proofreading Checklist. There is a bonus checklist inside! 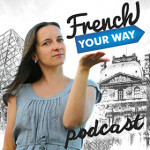 Efficient proofreading requires basic French grammar notions (click here for an introduction). A typical sentence starts with the subject. Use a comma to separate any additional information that you would like to include before the subject. Ex: Il est rentré de vacances la semaine dernière. La semaine dernière, il est rentré de vacances. Use the preposition « de » before the noun (without an article!) when referring to quantities. Ex: beaucoup de café, un peu de sucre mais pas de lait. Make sure the articles and adjectives agree in gender and number with the noun they describe. Position of adjectives: before or after the noun? Nationalities: use capital letters for nouns but not for adjectives. Country names generally have an article in French! If using reported/indirect speech: if the introductory verb is in the past tense, have you applied any relevant backshift of tense in the reported speech? Use of « être » or « avoir » auxiliary ? Does the past participle need to agree (with the subject, with an object)? Infinitive: If using 2 verbs referring to the same subject, the second should be in the infinitive form. I there any expression that triggers the use of the subjunctive? The subjunctive can only be used when the subjects of the 2 verbs are different: is this the case? Identify and avoid useless repetitions by using pronouns. Check that the form of the pronoun matches what it stands for. Ensure that the pronoun is not far from its antecedent/what it stands for : can we easily understand what it refers to? I hope this helps! Don’t forget to download my user-friendly PDF Proofreading Checklist below. If you require more help with your proofreading, you can submit your text via my French Essay Correction service.